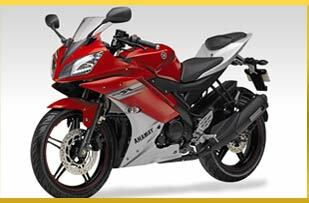 We are also one of the leading names in offering our clients a wide range of high performance based TVS motorcycles. With the automobile market have seen a lot more change with the changing preferences and demands of the customers, TVS Automobile Company has risen to the challenge of providing in its bike segment new innovations that are most sought after by the youth of today. 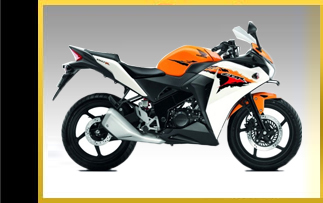 With no company wanting to lack behind in the present changing times, TVS has come up with ABS technology and many other innovative and advanced biking systems that make these one of the most preferred in the market. 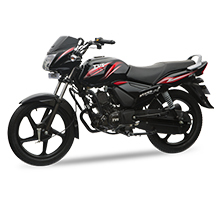 Under TVS motor cycle range, we are offering clients TVS Apache 160cc RTR and TVS Apache 180cc ABS. TVS - Star City is the good looking, sleek and stylish machine. The bike is highly fuel efficient and the reduced friction within the engine parts ensure less wear & tear and longer engine life. 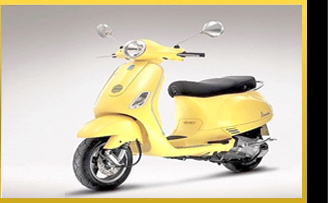 The star city has a ride switch with a two way adjustable rear shock absorber and give an average of about 80 kmpl. With black color being the basic one, this new TVS Apache RTR has superior pick-up of 118 km/h. 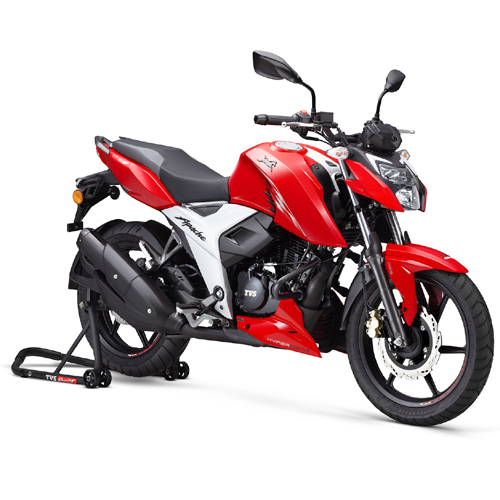 TVS Motor company has come up with its 160 CC RTR in its new Apache Series that is offered in the market with new in-comparable and distinguished theme based styling. TVS Apache RTR has also taken the biking segment to next level with precision engineering and advanced aerodynamic designs that are sought after by one and all biking enthusiasts around the world. TVS Apache 180 CC made available by us is all new ABS equipped mean machine that comes well balanced with superior biking and safety features. Among the safety features delivered is Rear Wheel lift-off protection (RLP) that helps in preventing rear wheels from lifting off road and thus protects bikers from possible injuries. It also allows bikers to choose from option to switch ABS on/off. Here, ABS technology is introduced to reduce accidents and is among the main features that are introduced in the Indian motorcycle market. Not speaking of superior technical features as mentioned above, TVS Apache 180 CC is available in four dual tone colors like white, yellow and grey with the color black being basic one provided in all bike versions. 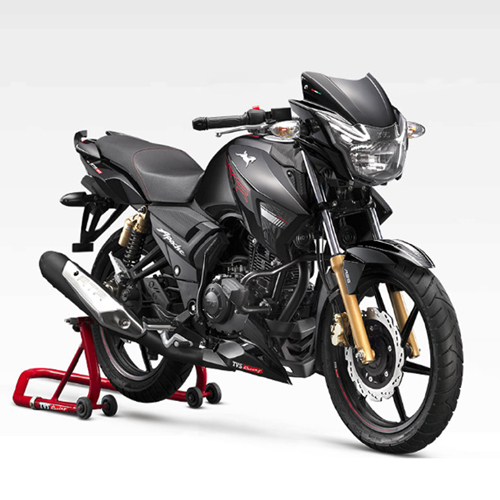 In continuation to superior styling, the bike also comes with racing GT stripes painted from front to rear end on bike that enhances its overall look and appeal among the bikers.